EXTRADITION 14 Romanians have been extradited to the USA for having masterminded a scheme to steal money from Americans and launder the funds by using cryptocurrency. The suspects have been detained after almost 100 US Secret Service agents and policemen did searches in Romania's capital Bucharest and its surroundings. The prejudice has been estimated at 34 million dollars. Scores of mobile phones, electronic equipment and various amounts of money have been seized during the operation. FILM A Romanian film has reaped the grand prize of the short-reel festival in Clermont-Ferrand, France. The award-winner is Bogdan Muresanu's 20-minute 'The Christmas Gift', whose plot is placed on December 20th 1989 shortly after the beginning of the Romanian anti-communist revolution. The plot thickens after the parents of a little boy have found out that he mailed Santa a letter, saying that his father's only wish was to see dictator Nicolae Ceausescu dead. TENNIS Romania's tennis side is today taking on the Czech Republic in Ostrava in a series of matches counting towards the Fed Cup's quarterfinals. The world's former number one Simona Halep will be playing Karolina Pliskova while Mihaela Buzarnescu will be up against Katerina Siniakova. The doubles matches will be pitching Irina Begu and Monica Niculescu against Barbora Krejcikova and Katerina Siniakova. After the matches on Saturday, Halep - Siniakova 6-4, 6-0 and Pliskova - Buzarnescu 6-1, 6-4, the score is even, one-all. Lots drawn on Wednesday pitted Romania's male side against Zimbabwe in the first round of the Davis Cup's second value Group Two, the Europe-Africa zone.  AMENDMENTS Romanian MPs have time until Monday to submit amendments to the budget draft law endorsed by the ruling PSD-ALDE coalition on Friday. The draft was drawn up taking into account a 5.5% economic growth, a 2.5% deficit and a GDP of over 200 billion euros. Under the fresh budget scheme, 2% of the country's GDP will be allotted to the country's defence, in accordance with its pledges to the NATO allies. Pension rises of 15% have also been envisaged as early as September this year. The right-wing opposition has lashed out at the delayed draft and some of its provisions, which it deemed unrealistic. ELECTION NGOs in the ex-soviet Romanian-speaking Republic of Moldova, have called on the Election Committee to allow the Diaspora to cast their ballot in the Parliamentary election on February 24th even if they have expired IDs. The aforementioned NGOs have referred to the previous elections, when this was possible. In a first for the ex-soviet republic, elections are to unfold under the mixed voting system, in which the 50 MPs will be elected on party tickets, while the rest 51 in constituencies. Concurrently with the election, a referendum is to be carried out on cutting the number of MPs from 101 down to 61 as well as on the possibility for these MPs to be revoked by the citizens. According to the polls the pro-Russia socialists of incumbent president Igor Dodon are among the favourites with allegedly 40% of the vote intentions, followed by ACUM, a bloc made up of pro-European right-wingers, which has been credited with 25% of the votes and the centre-to-left Democratic Party, the main political force in the pro-western coalition government.